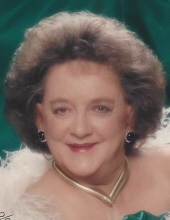 LOWDER, Caroline Ann - Age 78, of Flint, died January 25, 2019. No public services will be held. Caroline was born January 26, 1940 in Clio the daughter of Ernest R. and Hazel (Partridge) Rockefeller. She married Billy Clay Burns he preceded her in death in March 2014. Caroline worked for Buick City for 5 years. She enjoyed spending time with her family, crossword puzzles and the country music channel. Caroline is survived by her children: Billie Kaye Burns of Flint, Marrianne Marie McLanahan of Flint, Sandra Jean Burns of Flint; grandchildren: Sarah Hendricks, Angela Youmans, Nicholas McLanahan, Matthew McLanahan, Amanda McLanahan, Joshua Youmans, Jessica Youmans; great-grandchildren: Leila, Elliana, Melody, Anthony, Jaymes. She is preceded in death by her siblings: Charles, Norma, Mary. Tributes may be shared on the obituaries page of www.sharpfuneralhomes.com. To send flowers or a remembrance gift to the family of Caroline Ann Lowder, please visit our Tribute Store. "Email Address" would like to share the life celebration of Caroline Ann Lowder. Click on the "link" to go to share a favorite memory or leave a condolence message for the family.